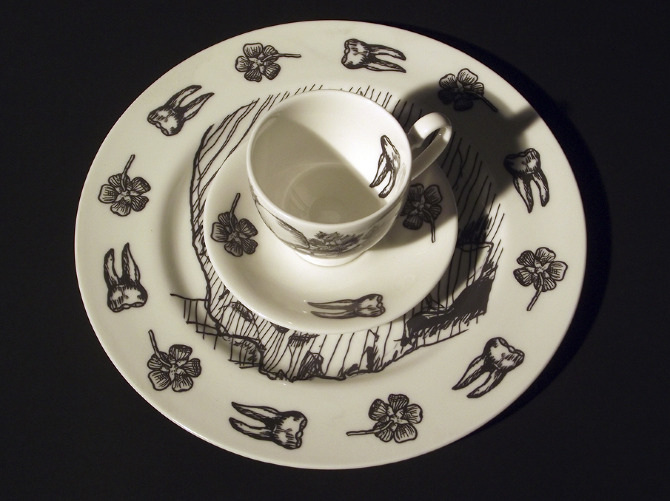 I was working on a ceramic brief when I created this range of ceramics entailed ‘Beautiful Decay’. 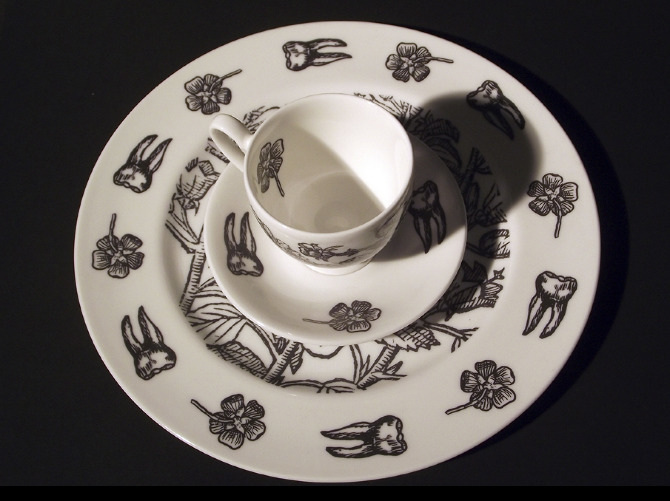 The ceramics where designed to match my Chairfix Project. 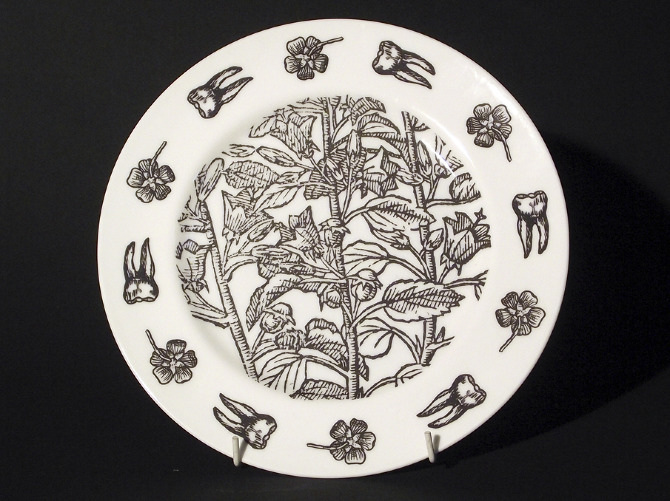 Much of the artwork relates to my drawings taken from the Shirley Sherwood Gallery in Kew Gardens and from visits to the Hunterian Museum based in The Royal College of Surgeons. 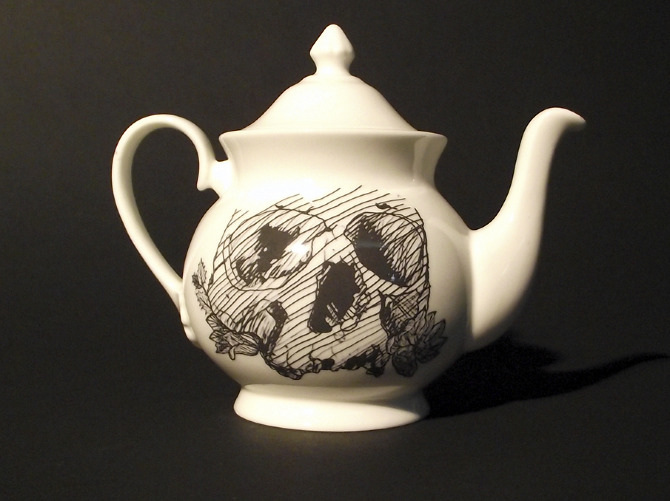 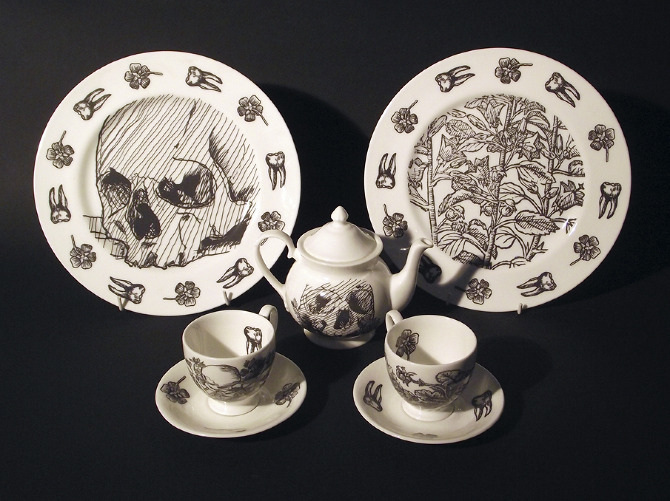 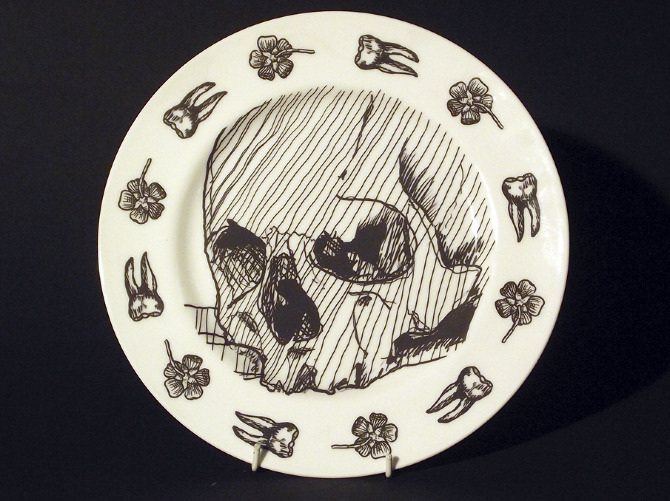 For my ceramics range I have decorated two plates with classic botanical drawings and sketches of human skulls. 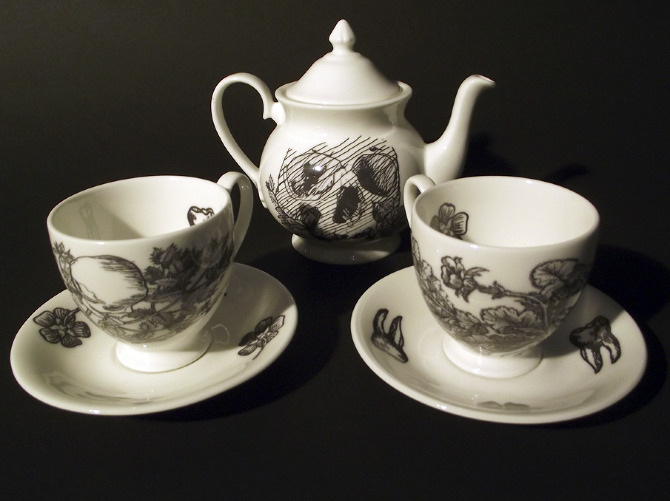 The set also includes two tea cups and saucers again with matching imagery and a decorated teapot. 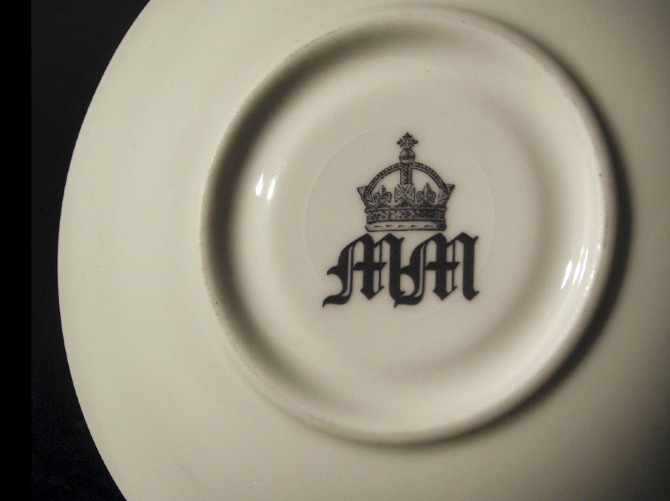 The complete set is made from fine bone china and all carry My logo on the underside.